I just came across an interview of Jean Drèze in the newspaper The Hindu. This is one of the development economists and activists that one should know about. Read on for the full interview, which was originally published in The Hindu, and whose author G. Sampath very kindly allowed me to reproduce in its entirety on my blog. The first time I heard of Jean Drèze was during my PhD in Louvain-la-Neuve. Jean Drèze is the son of Jacques Drèze, who is a professor of economics at the Université de Louvain, Louvain-la-Neuve. Jacques Drèze is someone who should have received the Nobel Prize in Economics a long time ago, but I guess it is for some reason harder for a Belgian to obtain this prize than for an American. In any case, Jacques Drèze has contributed extensively to a large amount of topics in economics (general equilibrium, choice under uncertainty, discounting, incomplete markets, etc…), and thus he was always someone who had an important view of, or story about, something. In one of our discussions we argued about development, and he started to talk to me about his son, Jean. From this talk, subsequent ones (and also talks with the famous historian and globetrotter Madou Dedec), I learnt to really admire Jean Drèze, both for his commitment, his vision, and also his depth with which he pursued his beliefs. To cut long stories short, Jean moved quite early to India and for some years lived in slums while at the same time doing grassroot policy work, co-authored works with the Nobel Prize winner Amartya K. Sen, and undertook policy work on topics such as education, hunger and inequality. He then moved into a very small apartment only after he got married, but is still pursuing this extremely minimized lifestyle while being active on the local and national policy agenda. 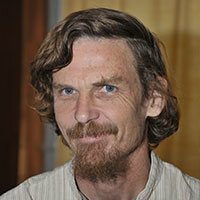 I was thus very happy to see a recent interview with Jean Drèze posted in The Hindu, by G. Sampath, who was very kind in allowing me to reproduce this interview in its entirety on my blog. I would also like to take the opportunity and advertise Jean Drèze’s latest book, Sense and Solidarity. For a very nice review of the book that puts it into the Indian perspective, take a look at this blog entry. Isn’t ‘exploitation’ a ‘Marxist concept? Maybe that’s why it’s not in mainstream economics? It’s not a Marxist concept, it’s a common sense concept. But it is perhaps seen as something that doesn’t belong in the discipline. We do have a conceptual tool to think about exploitation — the whole literature on asymmetric information. But this is just a big term to describe something as simple as, “I know something that you don’t, and I wont tell you.” In effect, this is just lying, but we don’t call it lying. How can you understand the labour market in India, or the Indian economy, without thinking about exploitation?